I am thrilled and relieved to see articles on the Huffington Post where some Muslims are standing up and acknowledging that while the Koran has peaceful and beautiful messages, it also has violent quotes and should not be treated as an unerring sacred text that needs to be slavishly followed. But it’s not just Muslims that need to debunk their sacred texts. We all do. Whether it’s the Bible or the Constitution, every document written by human beings was written in a context, at a specific historic time, and is based on the level of consciousness of those who wrote them. Whether or not you think they are dictated by God, they are still fallible. How could that be? Let’s start with a few comments about religious texts. 1. Even if you believe that God is the author of the “holy” books, that doesn’t mean that the channels through which God spoke had perfect powers of reception. People receive information through the eyes and ears of their society, their experience and their convictions. People who are blind realize they are missing a dimension of life. But they cannot truly understand specifically what they are missing. We are all blind and don’t know it. So God could be screaming one thing, and we could hear another. 2. If there is a God, he/she is not necessarily unchanging and immutable. In fact, why do we believe this? We can see the universe is evolving. Why wouldn’t the Creator be evolving as well? How and why would a static God create an evolving universe, which is his/her reflection? The assumption that God is, was and always will be the same creates havoc because it blocks us from examining teachings theoretically coming from God. The assumption of the static God leads to the assumption that God’s word is unchanging. 3. Even if God doesn’t change fundamentally, can’t God change his/her mind? And if so, why won’t we let God speak? If God really wrote the Koran, the Bible or any other “sacred” text, who are we to say that God can’t have a change of heart? If we insist that these ancient texts must be believed literally and forever, we are stopping God from speaking now. We are muzzling God. Our religious “sacred” texts must be challenged. They are full of violence and prejudice that speak of their times. But so do secular “sacred” texts. Even the original Constitution of the U.S. allowed states to continue slavery and discrimination against women. The original Constitution even stipulated that a runaway slave could not be relieved of his or her servitude, and slaves were allowed to be considered property. It took a colossal social and political struggle to amend our Constitution. So much for our sacred text. Just because the Constitution does or does not say something doesn’t mean that we can’t change OUR minds. We are so afraid of freedom, we don’t allow ourselves to think, and we try to stifle the opposition by waving the flag of sacred texts. But it’s not just sacred texts, it’s our belief in all sacred cows that stifle thought. On top of books and documents, we can use tradition, public opinion, majority rule, “everybody knows” and collective perpetuated prejudice to legitimize beliefs and behaviors, no matter how negative the consequences of these beliefs and behaviors. Yet we know, all these change in time as well. We have made progress in some areas. At one time, a cigarette and a drink were the signs of our coming of age, when we became young adults. I think we now know better than that. Similarly, at one time marriage was thought to be legitimate only between a man and a woman, and any other thought was unthinkable. Well, amazingly, in 2015, we see that sacred cow going away, as public opinion changes and social mores change as well. The example of religious fundamentalism should give us all pause. We can look critically at religious fundamentalists and feel self-righteous about ourselves. But only when we confront all tyrannies – all the beliefs and behaviors that WE hold to be normal, right and natural – will we begin to liberate our minds and therefore our souls. This is the Inner Revolution. So let’s all take a look at our own sacred cows, and let’s give ourselves a chance to start thinking freely, which is the most important freedom we have. Beth Green is a spiritual teacher who is promoting the concept of the Inner Revolution. You can hear her weekly on her radio show, InsideOut: The Inner Revolution, and you’ll find many of her videos on Beth Green TV. 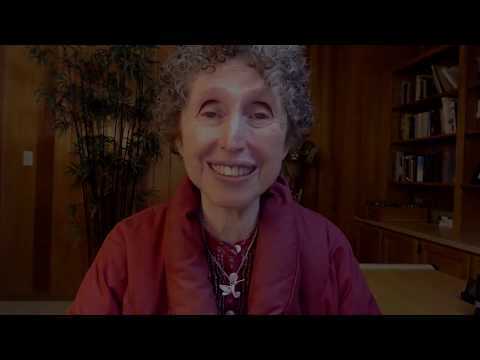 Her latest video is called “The Inner Revolution: Confronting Our Gods & Freeing Ourselves.” For more about Beth, go to her website, https://theinnerrevolution.org.